In 2010 Disney released Tangled. Despite trying to do something new and refreshing Tangled ended up feeling a little too familiar with the modernised fairytale being thoroughly worn out since the success and originality of Shrek. Tangled also demonstrated Disney’s attempt to step up their game as collaborators and partners and animation rivals Pixar churning out a vast number of high quality films that attracted adults and children alike over the previous two decades. Three years after TangledDisney have released Frozen. A romantic, comical and very loose adaptation of The Snow Queen by Hans Christian Andersen, Frozen proves that Disney seem to have finally got the balance just right. A mixture of the classic Disney magical storytelling and a witty, contemporary script makes Frozen an instant classic that has earned its place next to the likes of Shrek, Brave and Enchanted; three other modern fairy tales from competing studios. Princess Elsa was born with icy powers. Her powers, although beautiful, are highly dangerous. After experiencing the grave power of her abilities in her childhood, Elsa becomes a recluse. Her sister, the lively and vibrant princess Anna, doesn’t understand why her sister shuts her and the rest of the world out. During Elsa’s transition from princess to queen her powers are unleashed leaving her kingdom stuck in a bitter winter. Anna, with the assistance of a grumpy ice seller called Kristoff and a charming snowman called Olaf, ventures out on a wintry mission to bring back her sister and banish the icy curse that has fallen on the kingdom. The voice actors behind Frozen are marvellous and remind us of how important such casting is. Kristen Bell makes Anna a likeable and relatable character whilst Josh Gad, who I usually find irritating on-screen brings the hilarity and comic relief to his optimistic snowman character and the whole film. There are enough jokes to keep adults amused whilst children will be drawn in by the enchanting story. Although it seemed a little long in length the film never drags at a specific point. Idina Menzel’s sensational voice fills the musical numbers which are well written, catchy and consistent. At the heart of this film, is a deeper message about self worth and confidence. 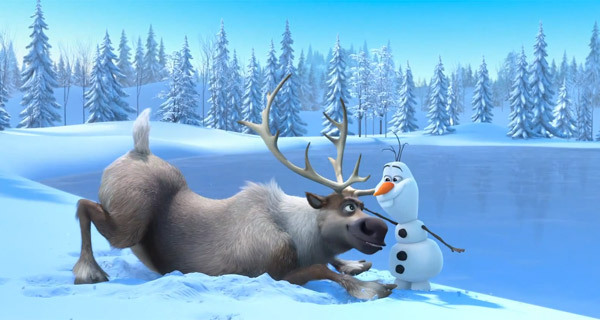 Frozen, although romantic, prioritises sibling love and family unity over the love stories that develop along the way. Although you can relax in the reassurance of a happy ending there is a twist that you certainly won’t see coming. 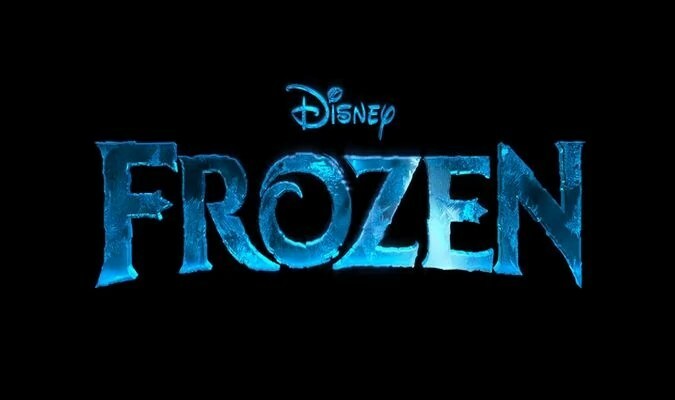 Unpredictable, complex and delightfully feminist, Frozen is the icy breath of fresh air that Disney fans have been waiting for. Well crafted characters, stunning animation, pleasing music and intelligent script makeFrozen one of the most wonderful films in cinemas this Winter. Tags: Animation, Cinema, comedy, Disney, Fairy Tale, film, Film Review, Frozen, Hans Christian Andersen, Movie, Musical, Review, Romance. Bookmark the permalink. Previous post ← Worst Films I’ve Seen: 2013.